This is a square Cadillac Authorized Service porcelain sign. 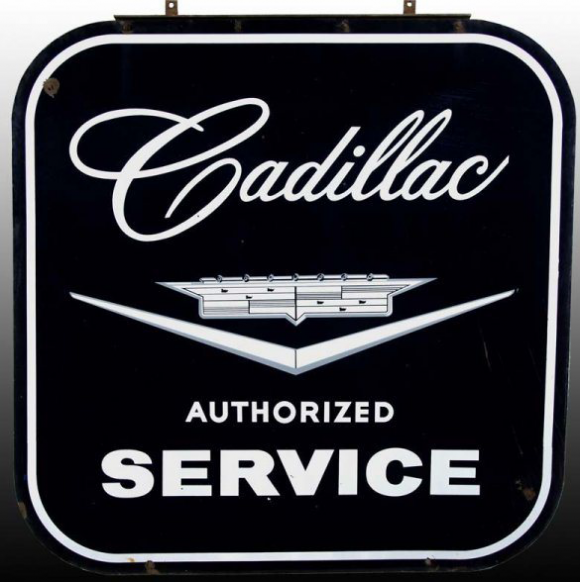 This particular Cadillac Authorized Service sign is navy blue with white text. It reads, “Cadillac Authorized Service” and features the Cadillac emblem in the center.